I didn't get as much as I'd like done today, but I should be able to wrap up in the final 13 hours of this jam. angered. You should have listened! Today, I fleshed out the mechanics a bit by adding levels and a loss state. As levels progress, you get more points but the meat pours in faster. 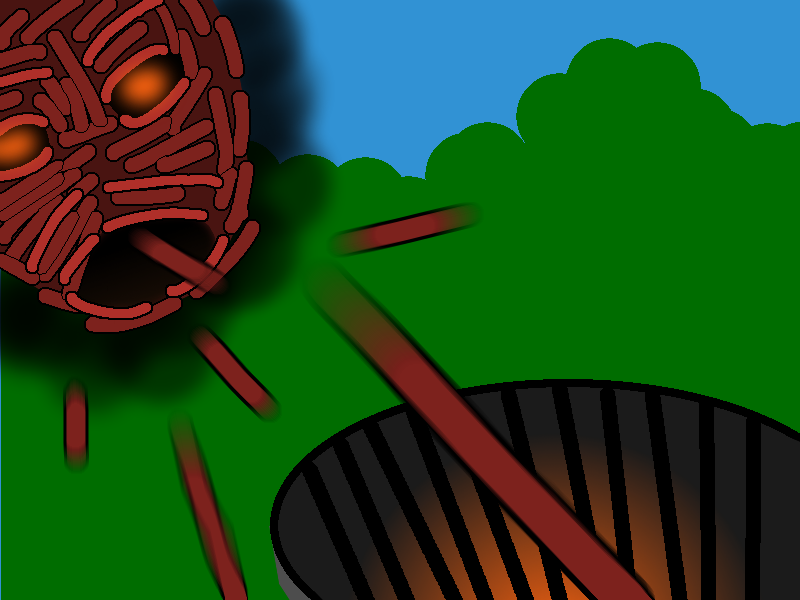 Dropping meat angers the Hotdgod, while clearing levels and juggling meat pleases him. 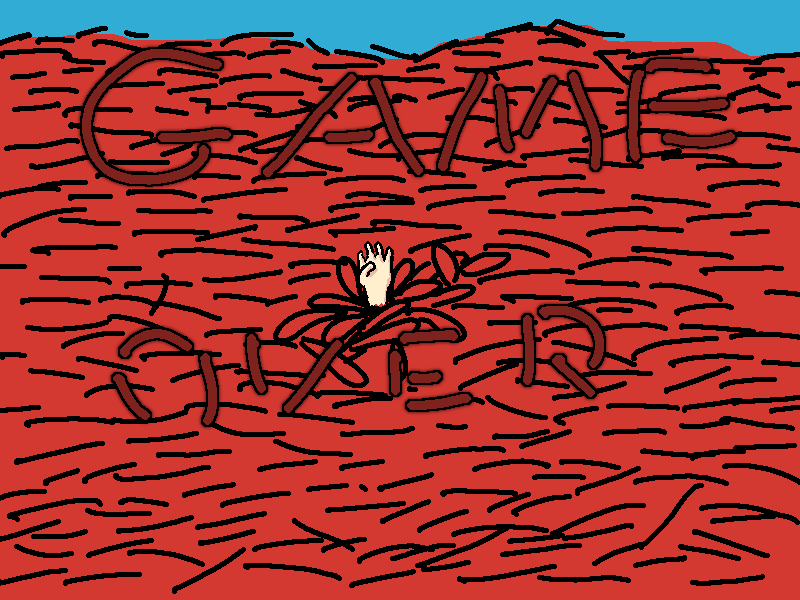 Making the Hotgod too angry now ends the game, and I made a game over screen. It's not in yet, but I should have plenty of time to add it. I also added a simple progress bar to show level completion. I need to add in the title and game over screens, add highscores(this'll be easy, since I already have code for that lying around), and allow the player to restart the game. The game is currently silent, so I should add in some sound! If I have time, showing the player an instructions screen prior to starting the game would be nice. I need to name this game. The original title was 'Grill Bounce,' but it's a bit too plain for my tastes. Beyond that, I pretty much have the game covered. It's simple, but what do you expect from a game jam entry?